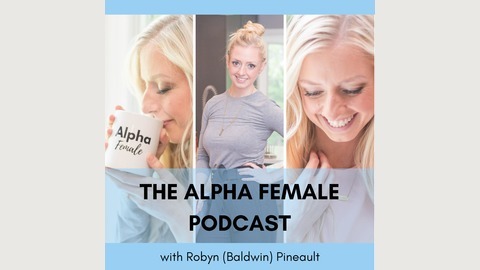 The Alpha Female Podcast is a weekly podcast designed to inspire you to live like an Alpha Female. An Alpha Female is a powerful and assertive woman. Her confidence is due to being an intelligent and intellectual problem-solver. Being an Alpha Female is a State of Mind based on choosing ambition and being proud of it. She strives for a happy and healthy work/life harmony. She is the brightest star in her constellation. When an Alpha Female stays true to their authentic selves and their missions they shine. An Alpha Female puts herself first because she deserves self-care and love. She knows that work/life harmony is found by staying true to your priorities and what makes you happy. She is never complacent about striving for better and nurtures relationships with all the people in her life. 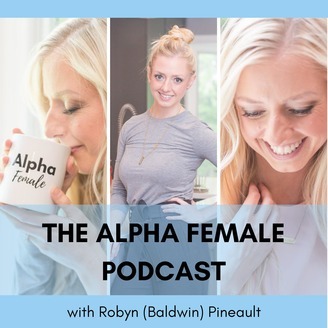 Robyn Baldwin, Chief Alpha Female and Work/Life Harmony Strategist, interviews other Alpha Females to find out their tips & tricks to optimize their health, decrease stress, build businesses, balance masculine & feminine energy, how their solving pain points in their life and what makes them happy. Robyn interviews Colette, a native of Ireland, for the second time! Colette wanted to hop off the corporate hamster wheel and pursue her passion for health and fitness. So in 2014, Colette took some time out to cleanse and reset her body. She underwent a 21 day Ayurvedic cleanse program in Bali and this is what changed her life personally and professionally. After the cleanse, she stayed in Bali, working with the Ayurvedic Doctor for a year. Colette also completed her studies to become an Ayurveda Wellness Counselor and began her online business, Elements Healing and Wellbeing and her podcast Elements of Ayurveda (https://www.elementshealingandwellbeing.com/podcast). Elements Healing & Wellbeing takes a natural, holistic approach to healing, incorporating the body, mind and soul. Using the ancient teachings of Ayurveda (the Wisdom of Life) to connect people to their 'true nature' (unique mind/body type), to Mother Nature and to each other.